The 69-year-old has been out of work since leaving Arsenal in the summer after 22 years at the club but remains ready to take up a new challenge, starting in January. Speaking at the launch of 'The Twinning Project' to Sky Sports News at Wembley, he said of his return to football: "Certainly at the beginning of 2019. "At the moment I'm having a good rest and I watch football a lot. "I said many times maybe the best way is not to be in England because I spent so much time at the same club it would seem odd to go somewhere else. "But at the moment I cannot tell you [about my future] because I don't know. "I don't know where I will be. I will be somewhere but I don't know where." The Frenchman has been linked with a move to Real Madrid following the sacking of head coach Julen Lopetegui. Could Wenger take up a role at PSG? 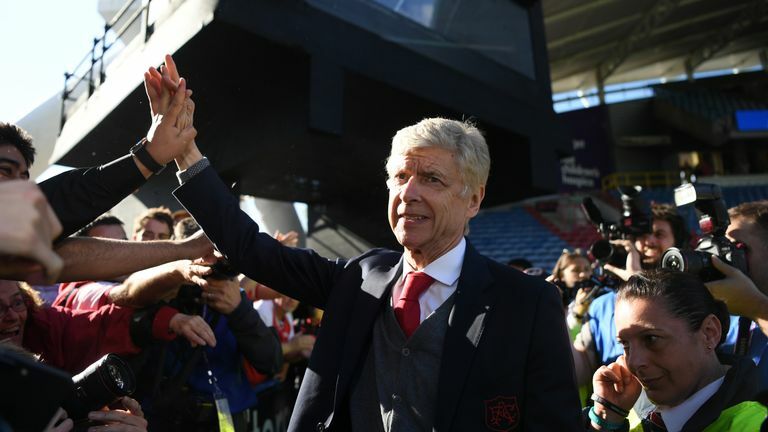 Wenger could also be a target for French champions PSG who reportedly want him to join the club as director of football to work alongside head coach Thomas Tuchel.